Every year, a number of commercial and residential complexes are gutted by fires. This causes immense destruction to life and property. A fire may be caused due to several reasons – carelessness, lack of awareness, a power outage that makes the fire alarm systems inefficient, or due to malfunctioning in the sprinkler system. Therefore, it is essential to hire a fire watch services that helps in reducing the possibility of a fire. A fire watch is a specialized service aimed at providing professional services to the clients. The fire watch guards are specifically trained and are highly experienced in providing fire watch services to the clients that are looking forward to installing a fire protection system. The client might be willing to get the fire protection system because of having problems with their current fire alarm system. A firewatch service is very useful when there is a lack of basic firefighting equipment or a fire brigade nearby. A fire is not restricted only to the flammable areas, it spreads its talons everywhere. Construction sites, hotels, restaurants, movie theaters, concert venues, schools and hospitals are a few examples where a fire is most likely to occur. It is advisable to hire a professional fire watch provider to install and monitor safety equipment as they have a lot of experience in the field and can advise the perfect security plan conducive to the needs of a client in the event of a fire. We keep our firewatch staff on standby to attend to last minute requests and emergencies. This ensures a quick and timely dispatch to cater to the needs of our clients in the event of a fire. A fire does not occur every day but when it does, it causes a lot of damage. By hiring our fire watch services, our clients’ concerns are reduced since they have opted for one of the best firewatch services available. Our trained fire watch staff works around the clock throughout the week to guarantee safety to our clients. Be it a commercial workspace or a residential apartment, our team keeps a vigil constantly. Our team keeps detailed logs that are accessible to the fire division and the proprietor of the building. Our fire watch guard can give info in the event of a fire our Fire Watch Guards will quickly transmit this data to the closest Fire Department and its building inhabitants. What is a Fire Watch Service? A Fire watch monitors a building or area that might pose a fire hazard or be a potential fire risk. A guard who is tasked with covering the fire watch must complete thorough and timely patrols to ensure the entire location has been checked for a fire or threats of fire (fire hazards). Fire Watches are used when there is a public event going on or if an existing alarm system has failed. Fire watches normally occur when hot work is being completed and a water source is not readily available on site. Fires are a real danger that should be kept in check. We care about the safety of our clients and offer customized security services based on the size of their homes or businesses. We deliver reliable, credible and effective solutions to cater to the needs of our clients. We keep over 10,000 qualified applicants in our database if needed will hire guards to tailor our clients’ needs. The people who live, work, and play in your building need to be safe. 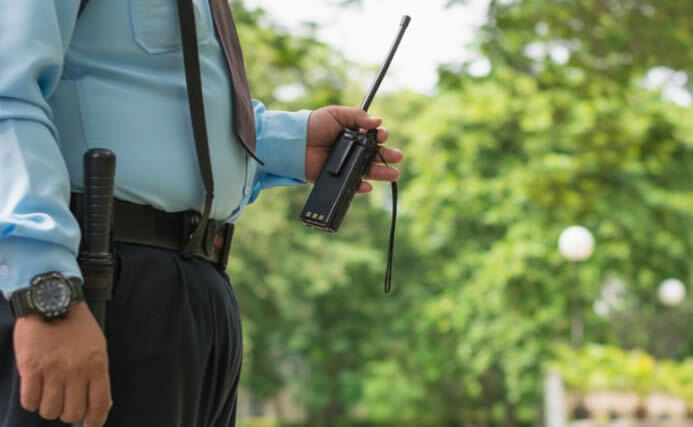 Our fire watch services are handled by experienced security professionals who understand the importance of protecting your building from the dangers of fire. Our team is recruited from skilled current and former military members as well as correctional and law enforcement officers. Our fire watch team will be a valuable addition to your building’s staff; you can trust them with your building’s safety. "I highly recommend DMAC Security, their management and team is top notch! I have worked with then on many occasions and have seen their officers, always attentive and courteous. " Schedule a FREE, no-obligation consultation and quote today. Get the security services you need, guaranteed.